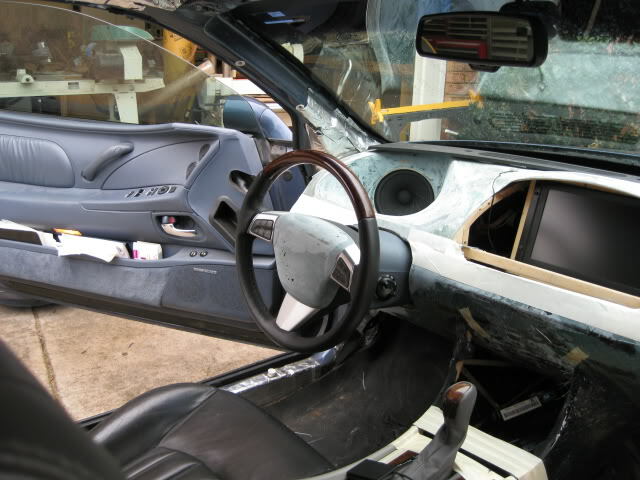 Just looking for pictures of peoples stereo installs. 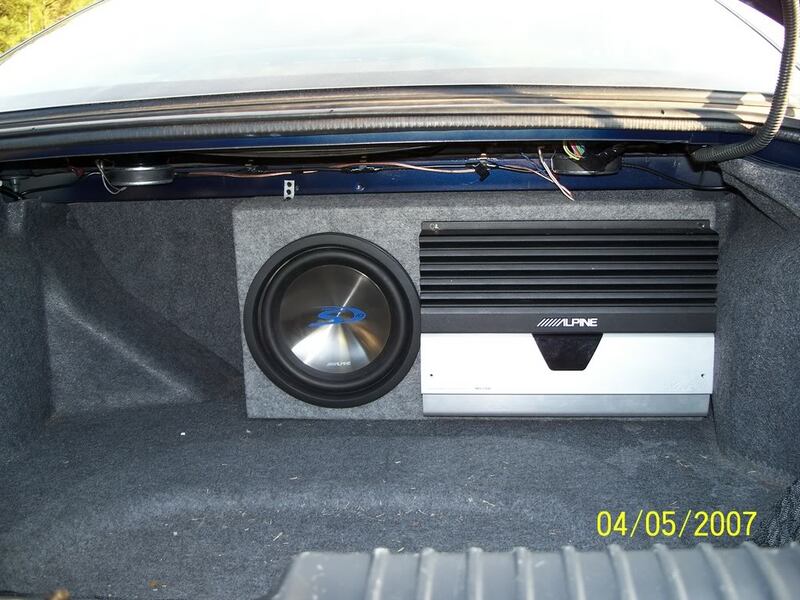 Sub and amp installs as well. Alpine CDA-9857 Head Unit. Steering wheel control and iPod adapter also connected. i was worried about how the 1DIN unit would look but the functionality of the pocket makes it worth it. 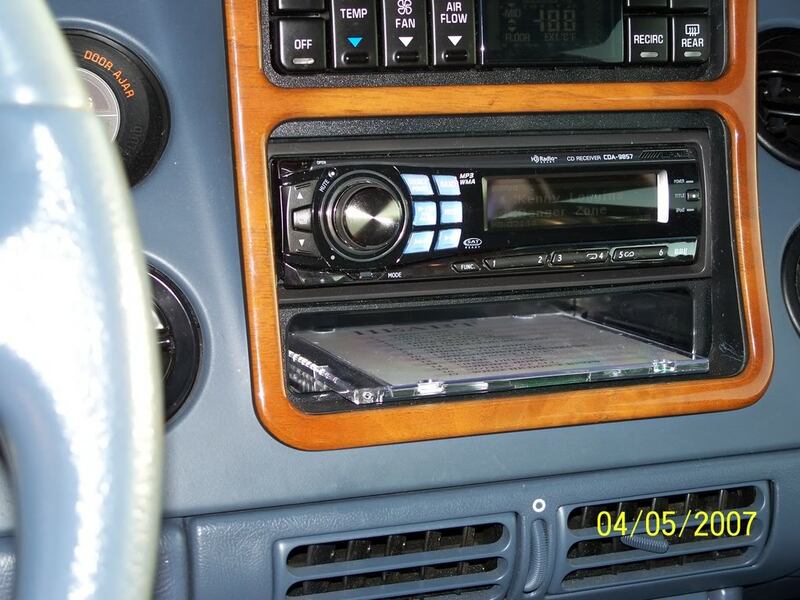 I am currently savinig for a 2DIN unit (like Alpine IVA-W505) I may move the pocket to the location where the CD holder is since I do not carry CDs now that my entire collection is on the iPod. Alpine 10" S series woofer with 5 channel amp. I actually have the new PDX-5 digital amp now. Smaller with more power than what is pictured here but the it was a rush install and does not look as nice as this. 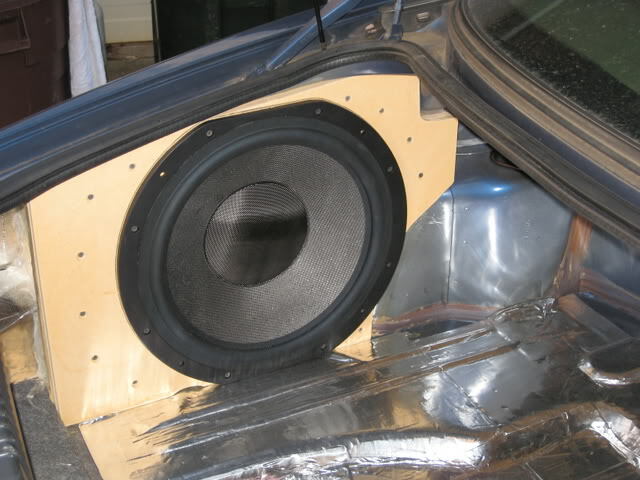 Very nice looking install how does that sub sound for you? Sub sounds good. It could use a little more punch. It is in a sealed box so it is more "accurate" than "boomy". 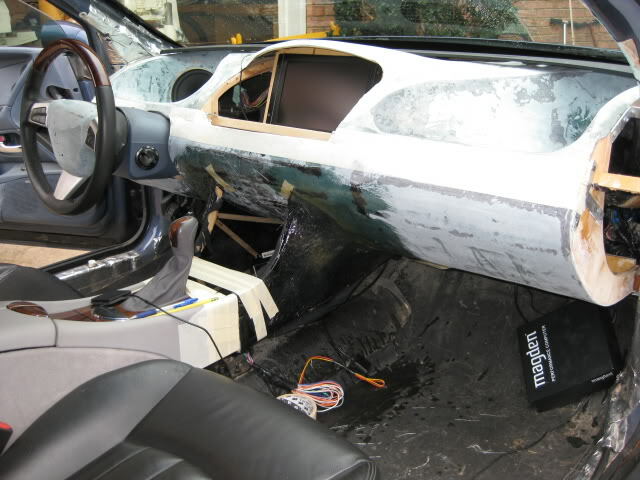 I am looking at upgrading the head unit to an Alpine IVA-W505 with Blackbird nav unit. I may satellite radio at that time is well. 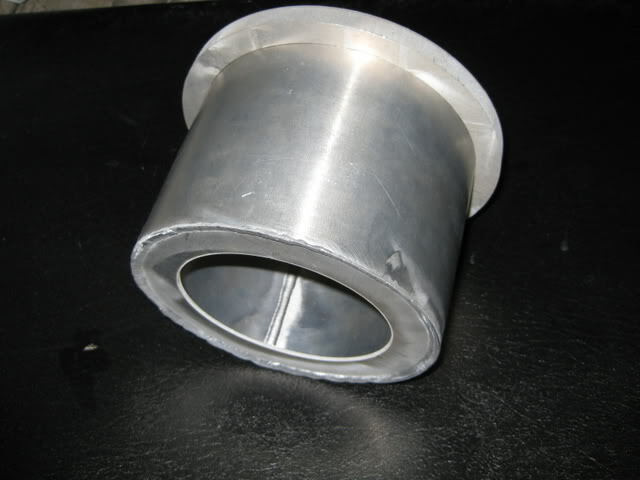 May also go to a slightly larger encloser and put a 12" R series in it. how much did that cost for the alpine and radio? i must know cuz it looks real nice in your car. u listening to the danger zone sweet!!! doesnt it say kenny loggins? This was done in several stages over 2 years. 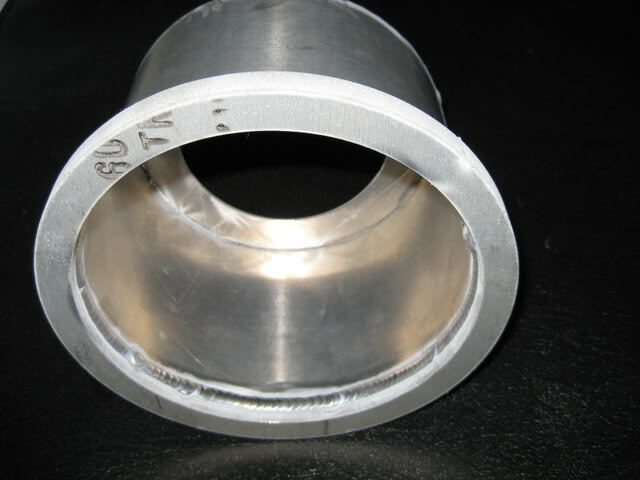 I will give you the price as a remember for the current components. Installation was extra except as noted as I did none of the work myself . If you can do this you could save some money. I still have a long way to go, but here are some pics of the start of my stereo build. Wow. That is way more ambitious than anything I have thought about. I like what you are doing with the front speakers to get them off the floor. Keep taking progress photos. Here's one for ya. I know that the pic is crappy and I apologize. I will post the pic of my Amp/Sub combo soon as I dont have the pic taken yet. (The yellow wires you see just behind the steering wheel is for my fog lights. I just havent gotten around to putting the switch in yet. Dont worry, there is no power to them yet either.) Well, here it is! The stereo pictured is a Dual DVD/CD/AM FM/MP3. The stereo has connections for back up cameras, video games, and extra monitors. It is fully touch screen and it sounds awesome! My sub is a 12 inch Audiobahn with a 400 watt Jensen amp on it. I havent had it tested yet. But, my neighbor down the street from me says that he can hear me 6 houses down the street. Inside his house. WOW! Looks like ALOT of work! Keep it up! Keep us posted as well! Here are some progress pics. Things are going slow due to the weather. I am doing the work in my driveway. 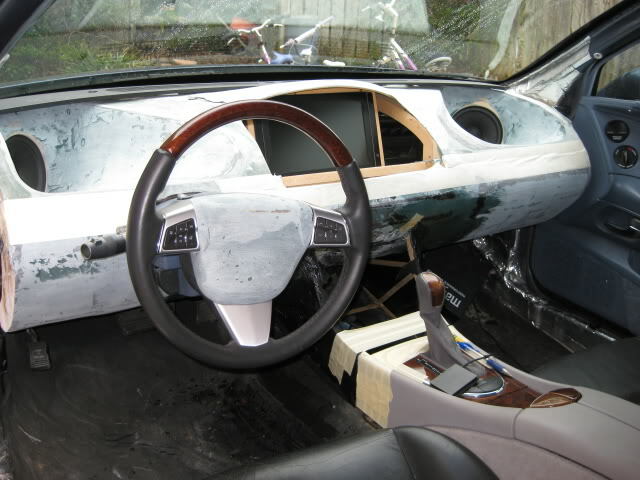 The top of the dash is roughed in with fiberglass. 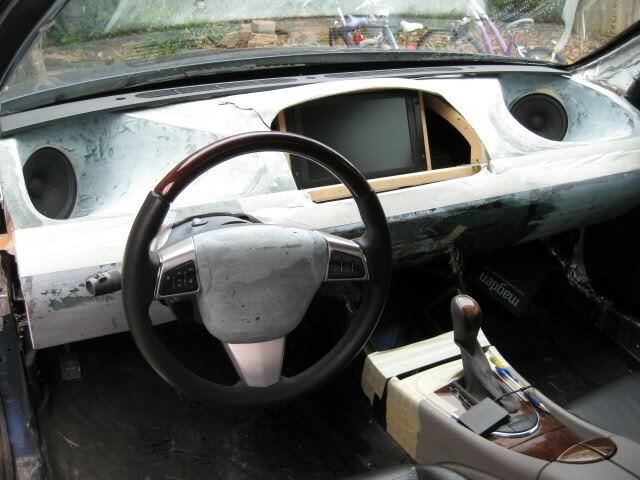 Everything will be covered in black leather to match the seats and steering wheel. There will also be a grill to cover the entire top of the dash to hide and protect the speakers. The grill will have a smooth contour from the windshield to the seem in the front of the dash separating the top and bottom sections. So it won't look like there are speakers there at all. 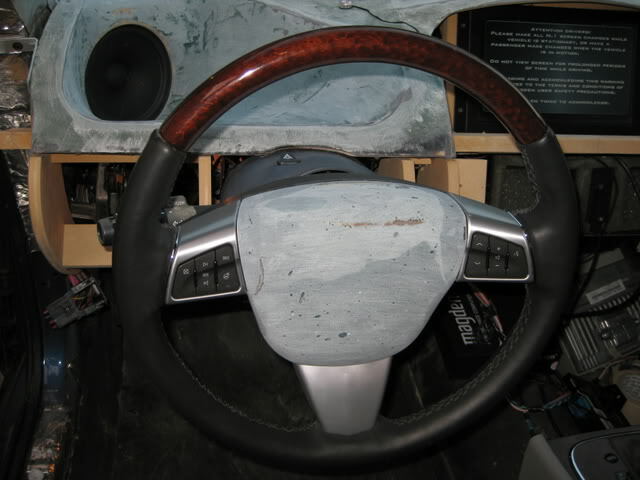 Some work on the center of the steering wheel. 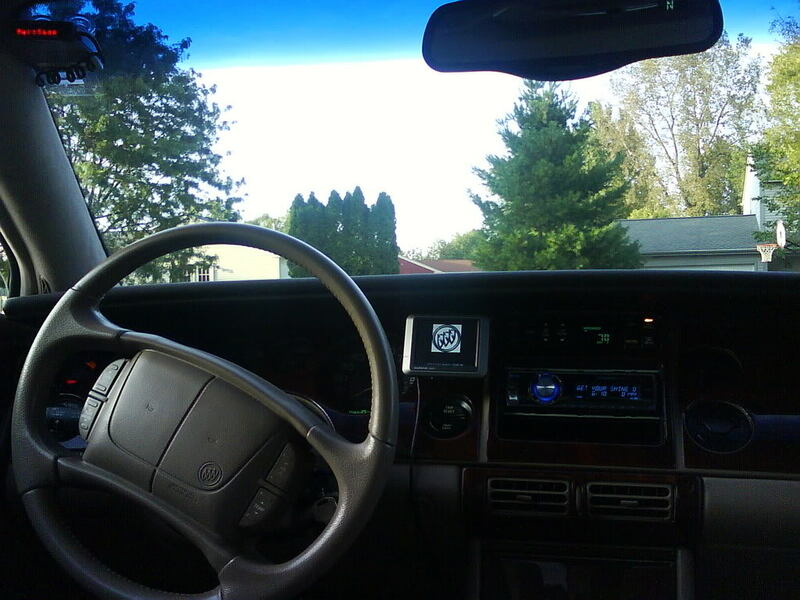 I have rewired the cadillac buttons to operate the pioneer deck that will be going in the dash, and I can also change between inputs on the screen (gauges, dvd, navigation, rear view camera). There will be a buick emblem in the center as well. Here is the gauge display. There is a computer that reads data straight off the obdII plug. 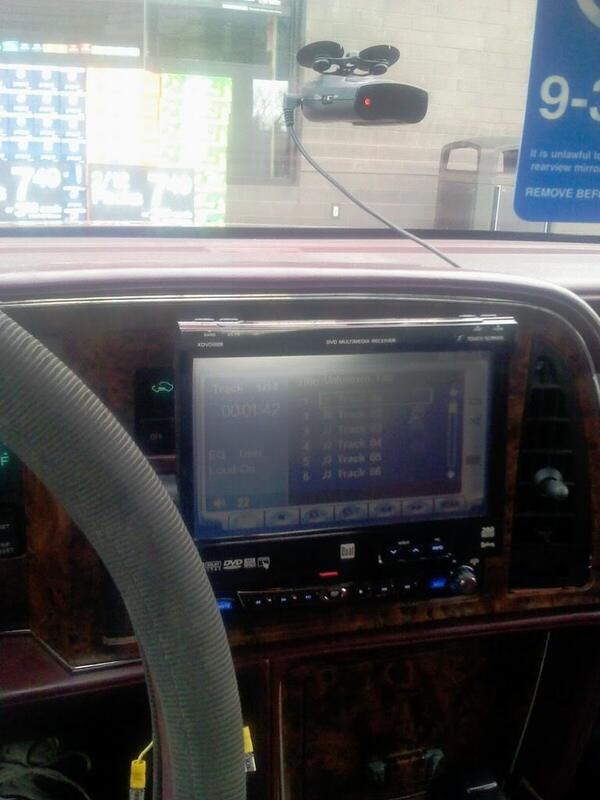 I can switch the gauges to anything the pcu monitors. I can also change the layout, color, and background of the gauges. 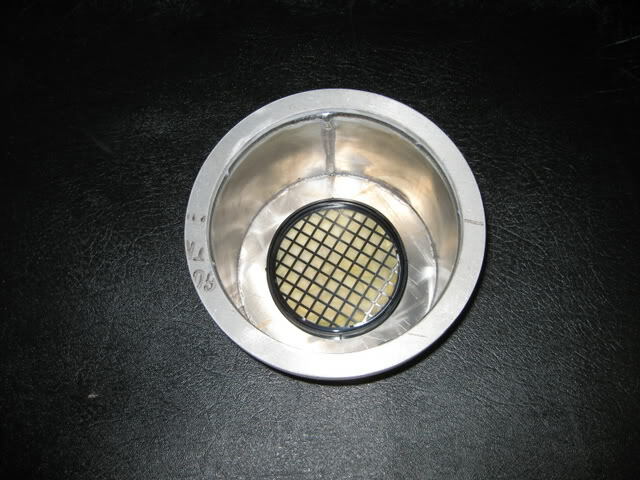 Shot of the driver speaker. New console. The leather will be dyed to match the seats. Now I can work on joining the console to the lower dash. 16" b&w sub in the left side fenderwell of the trunk. Wow, very nice setup sqrivi! Holy crap! I have no doubt you are on your way to sonic perfection. What happens to the rear wave of that sub? 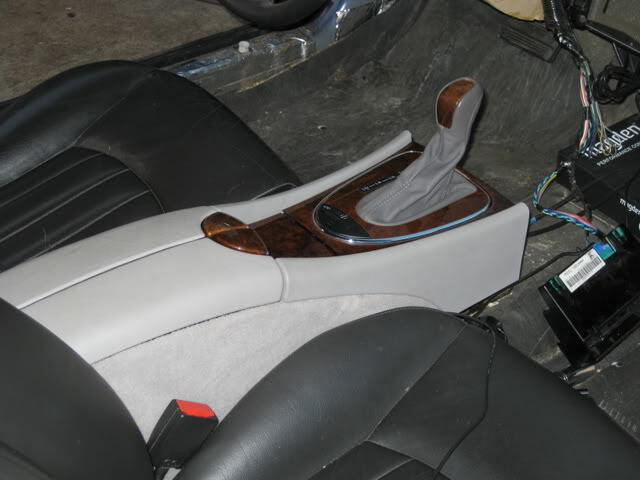 The 7's in the dash and the sub in the trunk are in aperiodic enclosures. They are vented to the outside of the car. The sub is vented into the rear fender. The front is vented into the front fenders. This is the enclosure for the front speakers. Well done, well done. You should be flat down to... 10HZ? Can probably shut off the sub and still sound better than most systems. Cant wait to see the finished product. What you're doing is really cool and very inspiring. Please keep up the great work and I'm excited to see how it looks when you're finished! 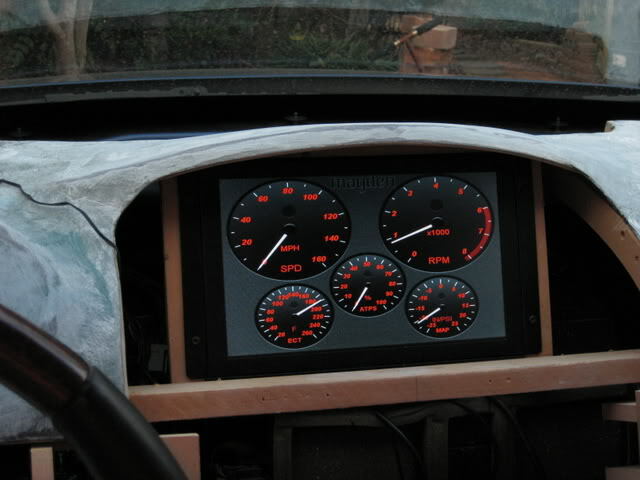 Some more work on the dash. scott more pics please! what all is going into the project? (amps, speakers, ect) is this a show car of gonna be one hell of a dd?